I read a lot as a child and young adult (I brought stacks of books on weekend camping trips… #justsaying), but I mostly read from lists of “classics” until I went to college. Then, some modern (and by modern, I mean contemporary) American writers and poets crept into my consciousness via syllabi, regular newspaper reading, and the internet. Still, I’d never read one of Maya Angelou’s books until a couple of weeks ago. This despite having my interest in her history (and stories) rekindled when she passed away this past spring. Given my focus here on the blog, it makes sense that the first Angelou title I would pick up would be her first cookbook, Hallelujah! The Welcome Table: A Lifetime of Memories with Recipes. Throughout Maya Angelou’s life, from her childhood in Stamps, Arkansas, to her world travels as a bestselling writer, good food has played a central role. Preparing and enjoying homemade meals provides a sense of purpose and calm, accomplishment and connection. Now in Hallelujah! The Welcome Table, Angelou shares memories pithy and poignant–and the recipes that helped to make them both indelible and irreplaceable. Maya Angelou is renowned in her wide and generous circle of friends as a marvelous chef. Her kitchen is a social center. From fried meat pies, chicken livers, and beef Wellington to caramel cake, bread pudding, and chocolate éclairs, the one hundred-plus recipes included here are all tried and true, and come from Angelou’s heart and her home. Hallelujah! 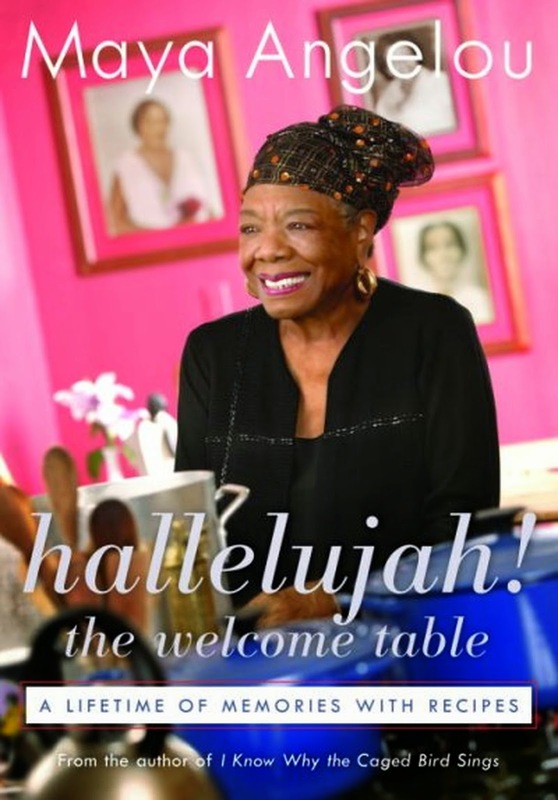 The Welcome Table is a stunning collaboration between the two things Angelou loves best: writing and cooking. This cookbook combines 28 vignettes (they could be called short stories or flashes of memory, too) centered around a particular recipe or meal menu, often connected to a friend or family member that made an impression on Angelou at some point in her life. The cookbook progresses from her younger years growing up in her grandmother’s store to learning to cook Creole cuisine out of absolute necessity to recollections from later years and mentoring relationships. It’s a story of a life, food and how it helps people to interact and connect with each other, and how cooking and hospitality can be used to understand the human condition. The prose sections are easily the best part of this cookbook. Angelou offers a variety of experiences and stories: some poignant, some funny, others tragic, courageous, homey and inspiring. The selection is superb and ranges the entire emotional spectrum, much of the twentieth century, and geography that varies from the American South to Europe to California and back. It's a window into Angelou's extraordinary life and experience as an African-American woman, artist and academic. She lived, and wrote beautifully about it. The food doesn’t sound half-bad, either (see: understatement, definition of). There’s a mix here of southern comfort food, Cajun, traditional American classics and French fare. It’s a combination born of a lifetime of moving, settling in somewhere new, and adapting to a changing world and new friends. 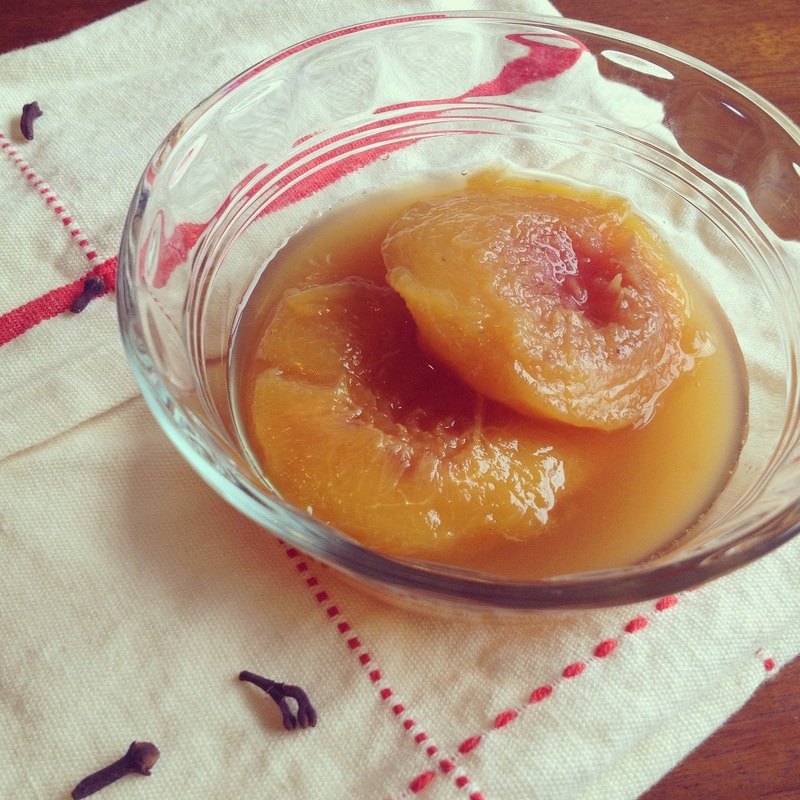 The recipes themselves are focused on main courses and sides suitable for lunch or dinner, and a few desserts. It’s not very vegetarian-friendly or health-conscious, though there is one section at the end dedicated to vegetarian recipes. 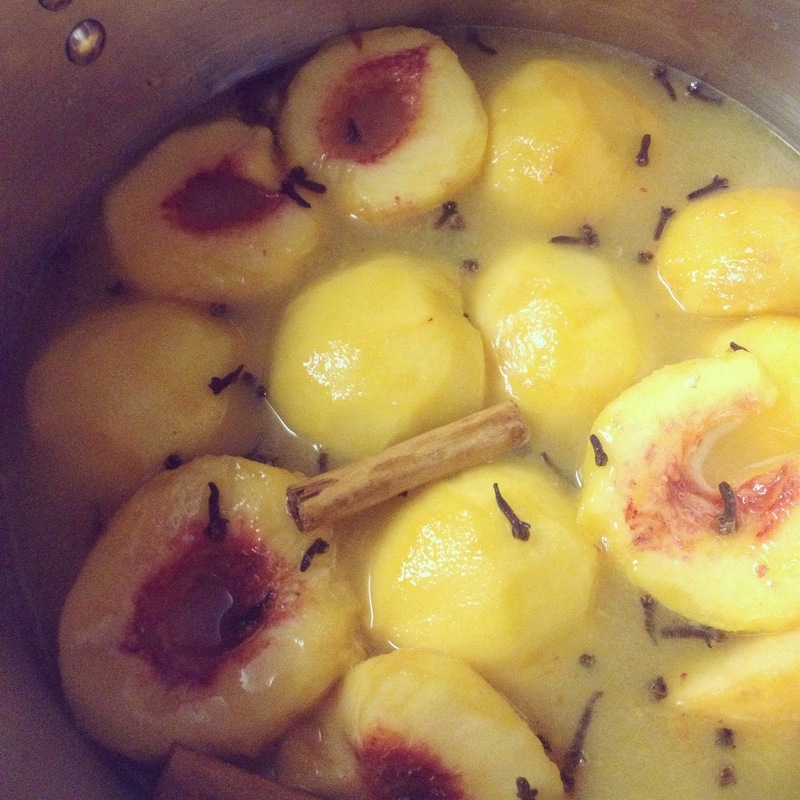 Put peaches in large post, add sugar, salt, vinegar, juice, cloves, and cinnamon sticks, and cover with water. Boil for 30 minutes. Take off stove, and let cool. Put in refrigerator in its own liquid. Discard cinnamon and cloves. Serve cold. One downside (if you want to call it that) of the cookbook is that the recipes have few “fine” directions. For example: Water necessary for the recipe isn’t listed in the ingredients section. There aren’t any warnings like “do not overstir,” no mention of how many minutes to mix, or how fine to chop the ingredients. The recipes are clearly meant to be more of a guide than precise chemistry. If you’re the kind of cook who interprets things loosely and puts their own spin on recipes, this method will suit you down to the ground. Hallelujah! is a treasure of a book, whether you try the recipes or not. It’s worth owning for Angelou’s stories alone, though the food sounds mouth-watering as well. Recommended for: anyone who likes good food and a story well-told, and especially anyone interested in food culture and the American South. I read and reviewed this book as part of the #diversiverse challenge. This looks great! I love when unexpected people (like poet laureates!) come out with cookbooks. And a bonus when the recipe looks delicious. 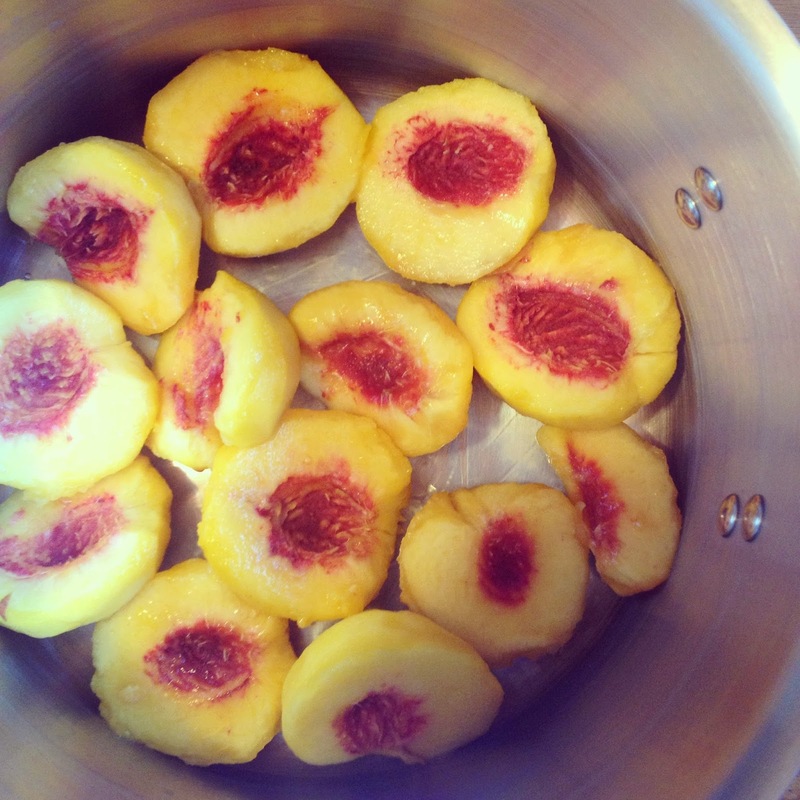 Oh those peaches sound great! I'm the kind of cook who doesn't need precise directions, so I'd be ok. Besides, it'd be fun to see what kinds of recipes Angelou would share.